X3 is a complete photo gallery website for photographers and artists. Designed to look amazing on all devices, X3 comes loaded with features! The X3 website is highly customizable, with hundreds of style combinations to choose from. Select from a variety of skins, colors, layouts and fonts to create a truly unique website design. 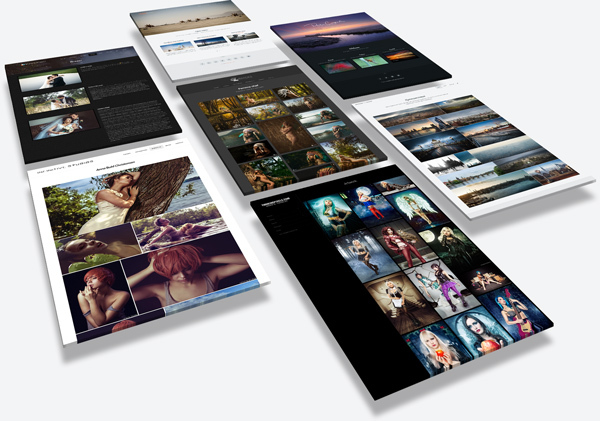 X3 also comes loaded with image gallery layouts including slideshow, columns, grids and carousels. * Use the Styler interface to preview X3 style combinations. Use the Control Panel to setup and manage your X3 website. Designed to respond gracefully on all screens, X3 displays in a beautiful interface for all visitors. To satisy visitors, we believe it is critical that your website and it's contents display as fast as possible. Navigate our X3 Demo to experience how fast X3 performs. Pages and resized images are cached on server. Fast page navigation with Ajax and HTML5 Pushstate. Gallery images "lazy-loaded" on scroll. Smart website preload option for instant page navigation. Boost your SEO with a fast-loading website. A few highlights from X3's extensive list of features. X3 is made with semantical HTML5 to ensure best integration with modern browsers and optimal SEO. Panorama, Maps, Chat, fotomoto, comments, comparison slider, carousel, video intro and many more plugins. X3 features a beautiful audio player plugin, which allows you to compliment your website with music. X3 comes with several menu layouts, including sidebar, slidemenu and topbar with mega-menu. Create your own contact form with any form elements, and X3 will forward all data appropriately. Easily protect folders or entire sections of your website, with a simple-to-use password-protection manager. Prevent visitors from easily downloading images with X3's built-in image-protection plugin. X3 can display meta data from your photos, including captions, camera settings and GPS map links. X3's smart image-resizer serves best image to visitors browser based on current layout, screen size and density. X3 has a built-in sharing toolbar, which allows visitors to share your pages and images on popular social media. Images in X3 galleries display in a beautiful popup, which loads images at best size, and allows zoom and swipe. Flamepix.com high-performance X3 website hosting. Includes FREE X3 license! X3 is for photographers, artists, web-designers and anyone who is looking for a beautiful, modern website tool. Is X3 easy to setup and use? Yes. 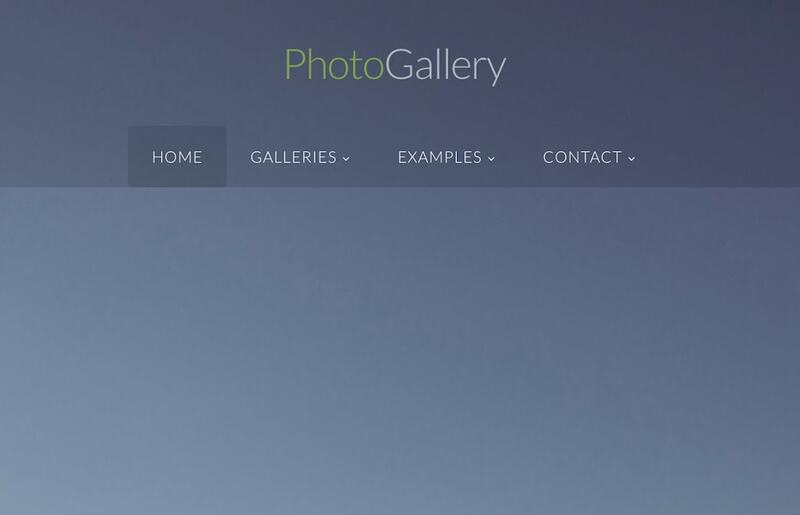 Simply upload X3 to your website, and start creating pages and galleries from the control panel. What do I need to run X3? You need a domain name and web-hosting, unless you use our own dedicated X3 hosting at flamepix.com. What are the server requirements for X3? X3 requires PHP 5.3+ on any server Apache/Microsoft IIS/NGINX/Lighttpd. Yes. Please go to the downloads page. * Swipe to view more quotes. See other X3 photo gallery websites. * Swipe to view galleries. 2488.chPhotography home of Sebastian Nellen. Photography home of Sebastian Nellen. af-photo.ruWedding and portrait photography by Artem Cherepanov. Wedding and portrait photography by Artem Cherepanov. alanmacleod.co.ukGuitar and Bass lessons, servicing and repairs, by Alan Macleod, Inverness Scotland. Guitar and Bass lessons, servicing and repairs, by Alan Macleod, Inverness Scotland. 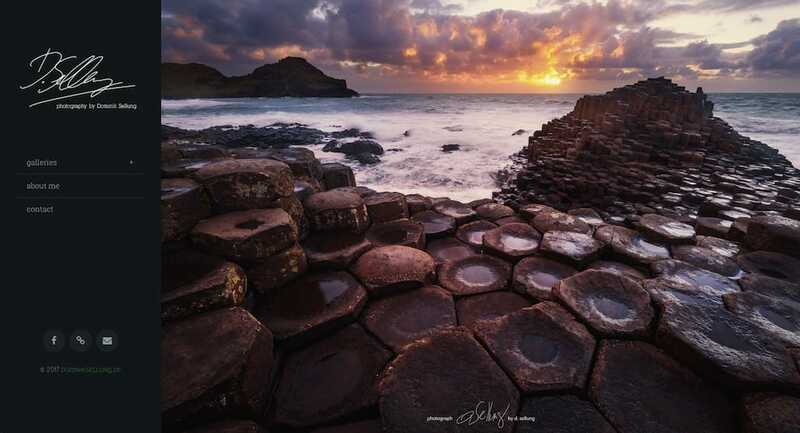 antonioesteve.esLandscape night photography and timelapses by Antonio Steve. Landscape night photography and timelapses by Antonio Steve. antonionapoli.itArtist & Photographer Antonio Napoli. Artist & Photographer Antonio Napoli. avanzini.chAvanzini Media — Web design, multimedia and informatics. 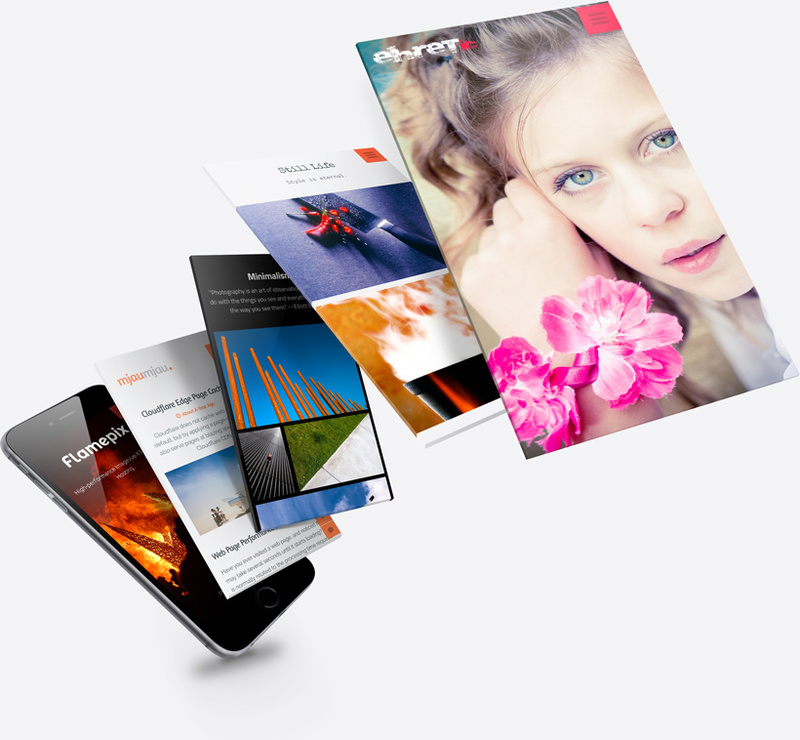 Avanzini Media — Web design, multimedia and informatics. bogomaz.ruTheatrical, advertising and film photography by Yuri Bogomaz. Theatrical, advertising and film photography by Yuri Bogomaz. bozenanitka.comCreative photography by Bozen Anitka. Creative photography by Bozen Anitka. danielmcpeake.comA UX leader and hands-on digital product designer with over 15 years experience in helping brands explore, envision, concept and deliver successful products and services across all digital platforms. A UX leader and hands-on digital product designer with over 15 years experience in helping brands explore, envision, concept and deliver successful products and services across all digital platforms. emptiness.galleryForm is Emptiness, Emptiness is Form - Concept photography by Martin Broeze. Form is Emptiness, Emptiness is Form - Concept photography by Martin Broeze. studio.figtreegallery.netFigtree studio gallery featuring the paintings of Australian artist Glen Vause. Figtree studio gallery featuring the paintings of Australian artist Glen Vause. flamepix.comHigh-performance Imagevue X3 Website Hosting. Using X3 to build a simple but effective website! High-performance Imagevue X3 Website Hosting. Using X3 to build a simple but effective website! fpedroletti.chHome of Argentine wedding photographer Federico Pedroletti. Home of Argentine wedding photographer Federico Pedroletti. fsphoto.seWedding photography by Farzad Sanaie. Wedding photography by Farzad Sanaie. funk-design.atVideography, photography and design by Martin Funk. Videography, photography and design by Martin Funk. geopalstudio.comExtensive portfolio of architect and photographer George Palov. Extensive portfolio of architect and photographer George Palov. goldenbikeshop.comGolden Bike Shop - Enthusiast bike shop at it's finest. Golden Bike Shop - Enthusiast bike shop at it's finest. gosswiler.comAction and adventure photography by sportsman Bjoern Gosswiler. Action and adventure photography by sportsman Bjoern Gosswiler. hansjanssen.photographyPhotography projects and playground by Hans Janssen. Photography projects and playground by Hans Janssen. hobby-fotografie.mobiPictures say more than a thousand words. Pictures say more than a thousand words. infinitive.dkFashion, fine art and beauty photography by Danish photographer Nik Skjøth / Infinitive Studios. Fashion, fine art and beauty photography by Danish photographer Nik Skjøth / Infinitive Studios. jacey.comJacey Digital Illustrator based in the UK and has been illustrating for nearly twenty years. Jacey Digital Illustrator based in the UK and has been illustrating for nearly twenty years. johangerrits.comDutch photographer Johan Gerrits documents unique cultures, some of which are vanishing rapidly. Dutch photographer Johan Gerrits documents unique cultures, some of which are vanishing rapidly. kataline.beKataline's art, photography and paintings. Kataline's art, photography and paintings. kozy.tvHome of artist and photographer Peter C. Koczera. Home of artist and photographer Peter C. Koczera. 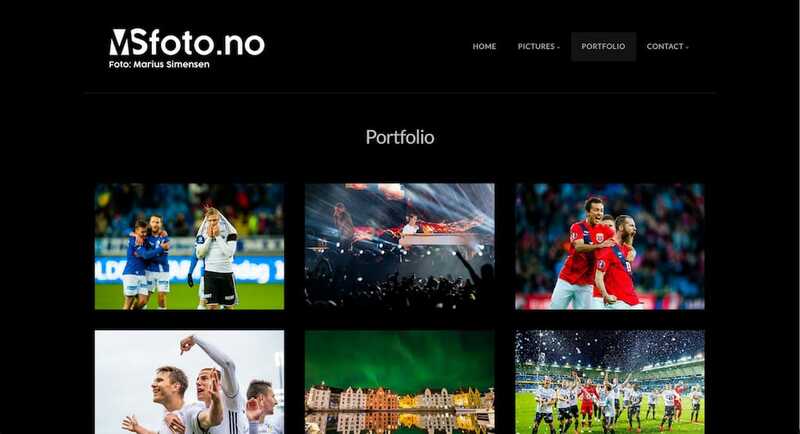 levendebilder.comShowcase and playground of Norwegian photographer Christian Mørdre. Showcase and playground of Norwegian photographer Christian Mørdre. lucaonline.dePhotography, advertising, print and design by Luca Scarpetta. Photography, advertising, print and design by Luca Scarpetta. marianne-dencausse.comPortfolio of Lyonnaise painter Marianne Dencausse. Portfolio of Lyonnaise painter Marianne Dencausse. maxim-gorozhaninov.deHobby Fotograf aus Düsseldorf Maxim Gorozhaninov. Hobby Fotograf aus Düsseldorf Maxim Gorozhaninov. merelyafleshwound.comExtensive sports, adventure and nature photography by Alex Henes. Extensive sports, adventure and nature photography by Alex Henes. mirelmiron.comMirel Miron is a Swiss artist and architectural visualizer, creating highly detailed and eye-catching visualizations for internationally acclaimed architectural projects. Mirel Miron is a Swiss artist and architectural visualizer, creating highly detailed and eye-catching visualizations for internationally acclaimed architectural projects. mjau-mjau.comTechnology, say hello to design — Interactive design blog and playground by X3 designer and developer Karl Ward. Technology, say hello to design — Interactive design blog and playground by X3 designer and developer Karl Ward. nativeoceanphoto.comNative Ocean Photography, the originator of the Native Ocean 2016 Swimsuit Calendar. Native Ocean Photography, the originator of the Native Ocean 2016 Swimsuit Calendar. nxastudios.comNXA Studios is a leading provider of quality Art Development and Art Production services. NXA Studios is a leading provider of quality Art Development and Art Production services. outbacklight.comOutback Light photography by Stewart Hunt. Outback Light photography by Stewart Hunt. ozimages.chPortfolio of Swiss photographer Jean-Claude Durgniat. Portfolio of Swiss photographer Jean-Claude Durgniat. paolomontanari.comPhotographer and videographer Paolo Montanari. Photographer and videographer Paolo Montanari. perspectivestudio.esStorytelling, videography and post-production by Spanish duo Jesus and Milo of Perspective Studio. Storytelling, videography and post-production by Spanish duo Jesus and Milo of Perspective Studio. peterrees.deFood design theory and photography by Peter Rees. Food design theory and photography by Peter Rees. pieterprins.nlStudio, events and corporate photography by Pieter Prins. Studio, events and corporate photography by Pieter Prins. pornsaknanakorn.comFreelance photographer Pornsak Na Nakorn, Bangkok Thailand. Freelance photographer Pornsak Na Nakorn, Bangkok Thailand. promolution.chSwiss graphics and digital print studio Promolution. Swiss graphics and digital print studio Promolution. reisespuren.comTravel photography by Reisespuren, with pictures from around the world. Travel photography by Reisespuren, with pictures from around the world. riccardoandre.comItalian photographer Riccardo André shooting models for his Covershoot series. Italian photographer Riccardo André shooting models for his Covershoot series. rotondaro.comSwiss nature photographer Luigi Rotondaro. 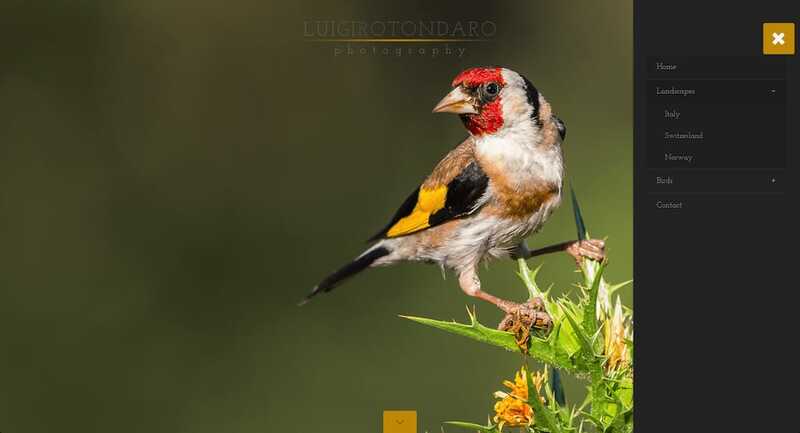 Swiss nature photographer Luigi Rotondaro. ruuddesoet.nl"Passion and creativity are our tools" — Photography by Ruud de Soet. "Passion and creativity are our tools" — Photography by Ruud de Soet. saltpepper.photo.gallerySalt'n Pepper Greek restaurant with extensive online menu. Salt'n Pepper Greek restaurant with extensive online menu. salviocalabrese.comSports photography by Salvio Calabrese. Sports photography by Salvio Calabrese. sittl.co.ukSports Images by Liam McAvoy. Sports Images by Liam McAvoy. thinkingpixels.comThinking Pixels media design, by André M. Hünseler, specializes in concept photography, digital re-touching and post-processing. Thinking Pixels media design, by André M. Hünseler, specializes in concept photography, digital re-touching and post-processing. tonhendriks.nlTon Hendriks works as a commercial portrait photographer and also initiates documentary projects in which he uses the portrait as the vehicle to tell the story. Ton Hendriks works as a commercial portrait photographer and also initiates documentary projects in which he uses the portrait as the vehicle to tell the story. torben-schramme.deNever ending journeys - Photography by Torben Schramme. Never ending journeys - Photography by Torben Schramme. visualsky.krHome of Korean digital artist and designer Jin Yong Choi. Home of Korean digital artist and designer Jin Yong Choi. wildlife.exposedHome of the Swedish Wildlife Photographer Sam Lantz focusing on the Nordic nature and its inhabitants. Home of the Swedish Wildlife Photographer Sam Lantz focusing on the Nordic nature and its inhabitants.